Gary Browne is set to leave Coleraine after the striker requested to be made available to other clubs. Bannsiders boss Oran Kearney told the club website that the 31-year-old former Linfield striker has been placed on the transfer list. "Gary is out of contract in the summer. He has found travelling a bit of a pull to be honest," said Kearney. "We have placed him on the transfer list in this window so hopefully he can get a club closer to home." Browne started his career with Manchester City and he had spells with Whitby Town and York City before moving to the Irish League. 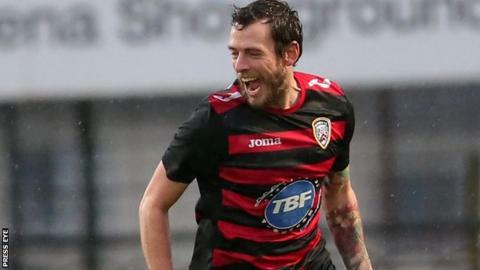 He played for Glentoran and Lisburn Distillery before moving to Linfield in 2011.